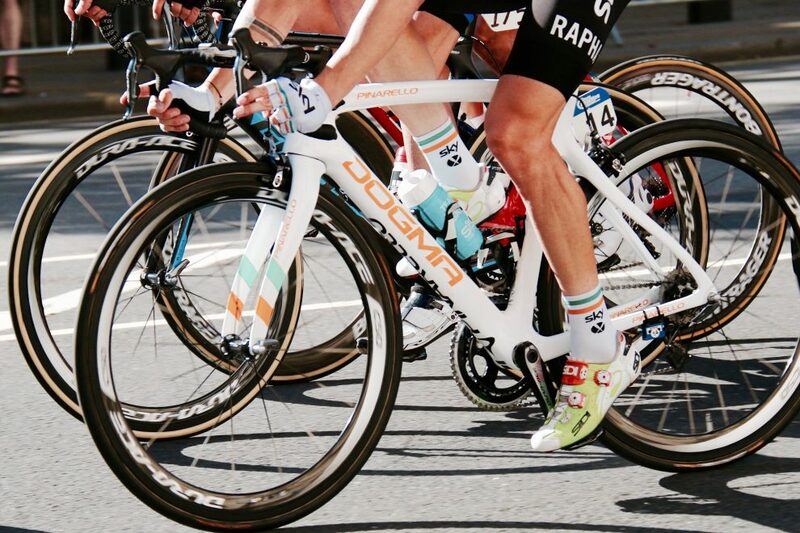 For those searching for a new road bike this year, the quest for a new pair of wheels can be an exciting one. 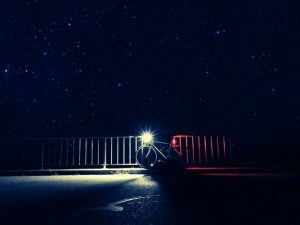 With that in mind, however, if you have a budget of around £1,000, there are certain questions that you’ll want to ask yourself, and a whole lot of research to conduct to ensure that you buy the best road bike for you and your needs. For example, are you going to be using the bike for commuting, or is it going to be used for long long journeys over the weekend? In this guide, we’ll be taking a look at some of the best road bikes that you can get on the internet for £1,000 and under, taking a look at their pros and cons, features, and what deals or offers you can get with them. Is it the bike for me? A bike that focuses on endurance while remembering to provide a comfortable and relaxed ride, the Cube Attain Race Disc offers a sportier edge to road cycling. Designed and manufactured from one of the leading bike manufacturers in the world, the bike is renowned for its ability to provide comfort, grip, agility, and handling across all kinds of road, making it perfect for long rides. 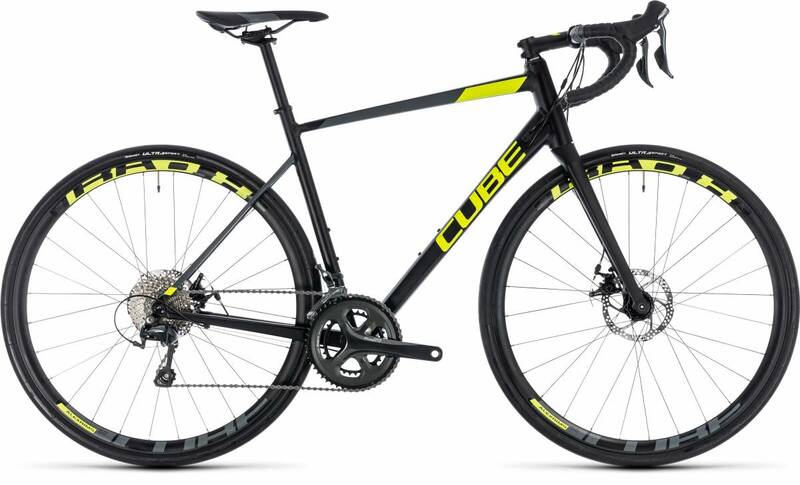 Cube has put a great deal of thought into making the Race Disc a comfortable bike and the Cube CSL Race Carbon fork is a fine addition that will help soften the blows of even the trickiest road. Not the lightest bike at 10.3kg, it is however double butted, and cyclists have noted its neat and clean welding. Although Cube road bikes tend to feature disc brakes, the Race Disk enjoys rim brakes, which does help to lighten the load slightly but forsakes stopping power, which could make a difference depending on conditions. 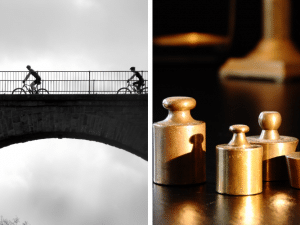 Rutland Cycling offers free bike delivery throughout the UK and includes free bike insurance, 90-day return, 30-day test ride, 1 hour delivery slot, and fully built bikes. Free click and collect options are also available alongside next day and Saturday deliveries. It’s also worth noting that Rutland Cycling offers 0% finance on all bikes over £250. A bike with a lot of ability, the Diverge E5 Sport is designed to cover a variety of terrains where adventure is at the heart of riding. Whether you intend to dart through a city, haul yourself across mile upon mile of country, or break out onto a trail, this bike can do all three. Ready for seemingly anything, it comes equipped with Plug and Play rack mounts, fender mounts, and three bottle cage mounts. 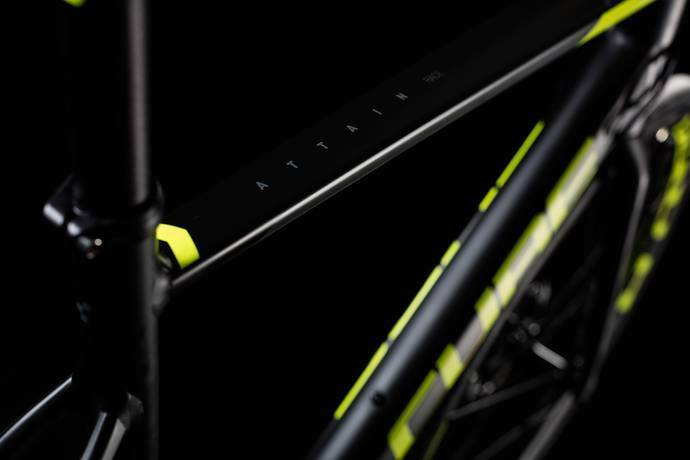 A light and stiff frame, it is composed of Specialized’s E5 Premium Aluminum, which is a brand new development, despite being a major step down from the brand’s FACT9 carbon material. It’s also worth noting the bike capitalises on comfort with Specialized’s special Future Shock piston in the head tube, which utilises a progressive compression spring to alter compression rates throughout travel to prevent bottoming out. The E5 also comes with mechanical Tektro Mira disc brakes, which provides ample agility in all kinds of weather. It can also count itself as part of the ever-popular “gravel bike” genre, which in 2018, is about as trendy as it gets. 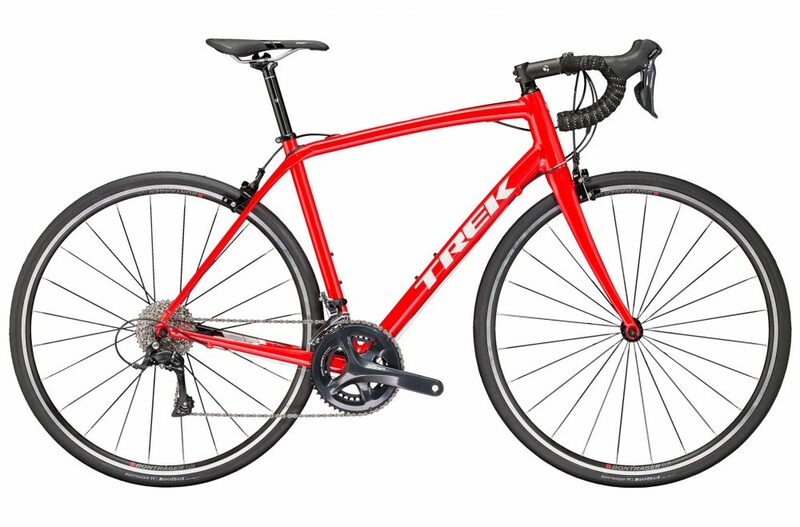 Tredz offers a pretty good deal for this bike, as it offers 0% APR finance up to 48 months, alongside a free Cycle Plan insurance voucher that covers you for eight weeks. Including a UK price match guarantee, the shop also offers a 365 day no hassle return and free delivery on a date that suits you. Bianchi is celebrated for its long range of bespoke and high calibre bikes and this is considered by some to be its entry-level offering, which is still fine in its very own way. Another bike that falls under the gravel bike category, the Bianchi Via Niron 7 AllRoad bike suits mountain biking, trekking, and road cycling, making it one of the most versatile offerings this year. A stiff and responsive frame made from Via Nirone 7 Allroad alloy with hydroforming tubing and internal cabling, it’s clear that performance has been put at the forefront of this bike’s design. Capable and built for long distance riding, this bike would go to spoil among short commutes and city travel, although comfort is still prioritised, as highlighted with the bike’s use of K-Vid technology (where kevlar inserts are interwoven into the fork). That said, if you do wish to commute, the bike provides both mudguard and rack mounts, which are also useful for light touring. Bianchi is never a manufacturer to fail on new technology and the Niron 7 makes use of it to the fullest, especially when you make note of the Shimano hydraulic disc brake system. With a relaxed all-day geometry, there really is little to fault with this bike, other than the fact that its 32mm tyres might be slightly too thick for truly optimum long distance riding and touring. Available as a buy now option, Evans Cycles also offers a range of finance services, including a 0% APR option. Delivery is free throughout the UK and the store also offers a 90-day return policy. A lightweight bike that offers superb low riding facilities, this bike focuses on speed and aerodynamics. This is a serious race bike for those who want to claim their stake in the road and the most serious aero race machine of this price bracket by Merida to date. Aerodynamics are at the front and centre of this bike and it makes strong use of Merida’s Fastback truncated tube profiles, based around a NACA (National Advisory Committee for Aeronautics) 0028 airfoil. Even the seatpost is aero-profiled and makes use of Merida’s S-Flex technology to improve and prioritise rider comfort. 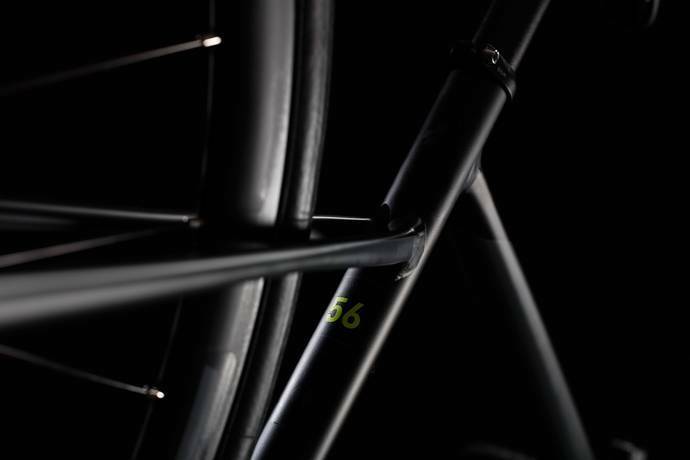 Centred on a stiff alloy frame, the carbon fork has been complimented for its smooth and precise steering, allowing for precision and nippiness when it’s needed the most. Made for long days on the road, the 400 is an alloy rarity that you can find in your garage for less than £1,000, and it’s multitude of low gears are a godsend for steep climbs. 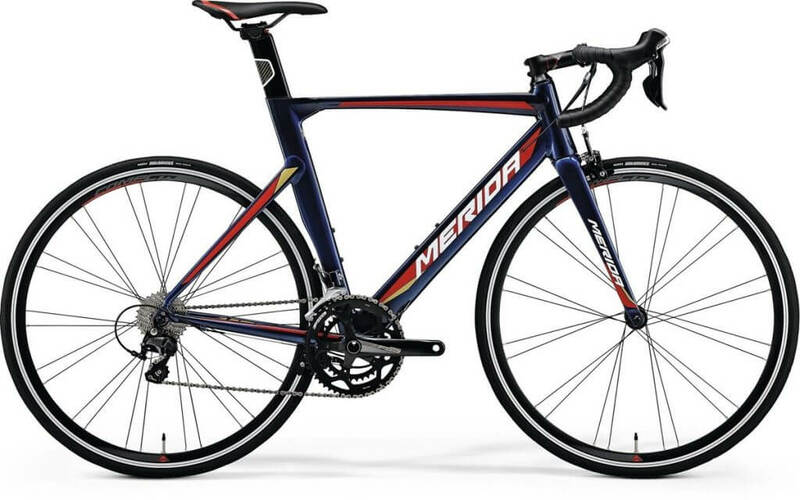 It goes without saying that the bike has been well received by the cycling community, but for just £150 or so more, the Merida Reacto 500 comes with a Shimano Ultegra 2×11 speed drivetrain and an FSA Gossamer Pro semi-compact chainset, which might just be worth the extra pennies if you’re serious. Available for £55.56 per month on finance with 0% deposit and no interest, you can also buy the bike now and pay nothing for up to 6 months. Delivery is free throughout the UK and products can be returned within a year, hassle-free. Having undergone a total redesign since its predecessor was released, a lot of expectation has been put on the Scott Speedster 10. 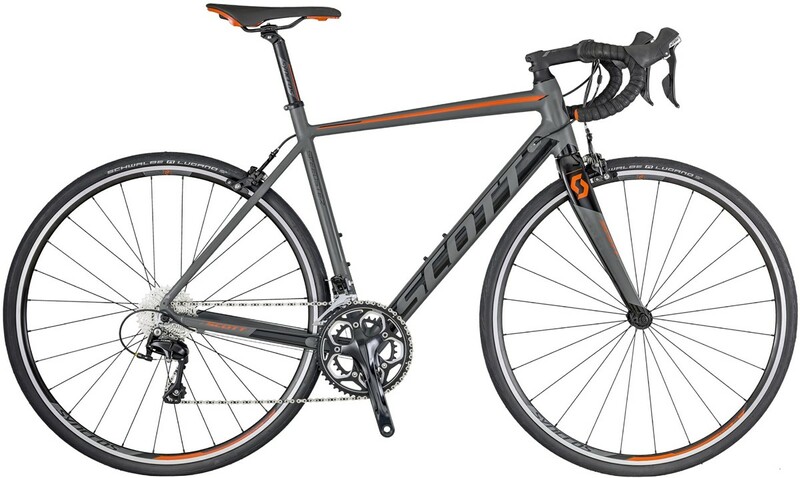 The Scott Speedster series is a great bike for beginners and a safe choice for those wanting to flex their muscles on a bike that provides long rides with proven reliability. The Speedster is never going to get veteran cyclists excited, as it’s fairly traditional in its design, but that said, it’s not really meant for people that have already eaten their fair share of the road. Equipped with Shimano RS505 levers and 105 mechs and wheels provided by Syncros — Scott’s in-house brand provides quick and precise gearshifts across a wide range of ratios, ideal if you aim to pedal at an optimum rate. Overall the frame has been welcomed for its stiffness and versatility, while the Shimano 105 2×11 speed drivetrain delivers welcome high-level performance and works as a fine addition to a bike of this price bracket. No one can really say that this bike isn’t good value for money, but some features do let it down. Ugly welding has been noted by some in the community, while the seatpost has been noted for its fat design, which pretty much bucks the trend of modern seatpost design. Overall it’s a good bike for those just getting onto the road, but not one a seasoned rider would find too thrilling. Available on finance for £55.50 per month for 18 months with 0% APR, Tredz also offers a “buy now pay later” option for all orders above £250. Deliveries are free throughout the UK and you’ll also receive a free 8-week insurance voucher. 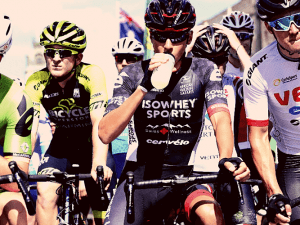 A bike designed and manufactured by Wiggle, Verenti isn’t a brand that everyone knows, but it is slowly making a name for itself in the cycling community and the Substance II 105 is enough to silence any naysayers frightened of the unknown. A bike for adventure, the Substance II is able to take off-road tracks just as it can road surfaces, so it’s perfect if you want a little flexibility in your riding. A practical bike that features a few nice additions, the Verenti Substance II 105 is a fair upgrade from its predecessor and offers commuting capabilities with both pannier and mudguard mounts. An agile 4130 CrMo frame complimented with a carbon fibre fork, the Substance II is lightweight and offers a comfortable ride, no matter the terrain. With a Shimano 105 Drivetrain and RS505 drop bar hydraulic disc brakes at hand, it’s hard to deny that this bike offers value for money. At over 11kg, this bike is a bit of a beast, and the heaviest on this list, so if you’re looking for a bike that offers agility and speed, this might not be for you. That said, Wiggle has put a lot of thought into its design and provides the average rider with everything they need and a little more, especially when you consider that it is on offer below the £900 mark. Wiggle offers a variety of payment methods, including finance and payment via PayPal. The finance offers vary depending on the product but watch out for discount codes, which are usually plastered throughout the site. If you’re unsure of what bike you want, there’s also a 30-day test ride service, which is pretty handy for helping to make that final decision. Deliveries are free throughout the UK and there’s a one-year return option. Ribble Cycles has been building bikes since the 19th century and have a solid reputation for being able to provide decently priced bikes that are able to stand the pressures of modern day cycling, which is perfectly exemplified in this bike. Featuring a T700/T800 carbon frameset notable for its traditional design, the bike finds itself parked somewhere between a racer and something all the more comfortable for long, relaxing journeys. A bike that pretty much does exactly what it says on the tin, the Sportive Racing has been noted for its inability to excite the most experienced biker, but that does not mean that it isn’t a good bike. Its handling has a good ability to respond to rider instructions without being too sharp, which is what you’d expect from more of a full race bike. The 176mm head tube and 558mm top tube also provide a fairly upright position for added comfort, which is capped off with a Selle Italia saddle. A 20 speed Shimano Tiagra Groupset is also included, which is a bit of a bargain and good value, although the finishing kit overall is quite modest and includes few if any, surprises. Although carbon fibre frames are a steal for under £1,000, the aluminium frame bike can be found for £150 less, and according to experts in the field, the difference isn’t that notable between the two. Its internal cable routing and removable bottom bracket cover suggest that it’s an all-weather bike that is capable of handling unsavoury conditions, so this is worth a thought if you’re looking to bike through the winter or across the distant country. If you’re unsure, Ribble offers a 30-day test programme as well as providing loyalty incentives, though delivery is £20. 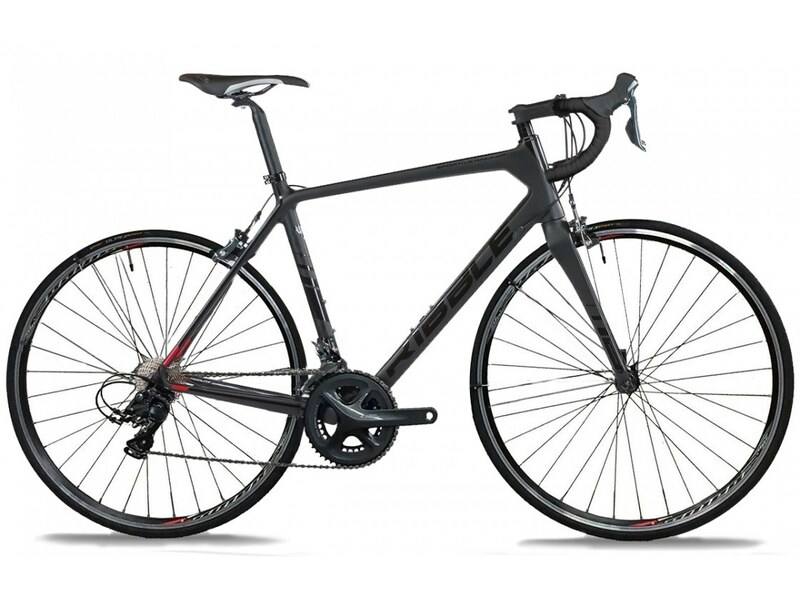 Finance is also available on certain models and look out for discount codes, as Ribble does have a dedicated page just for those. Light and beautifully priced, the B’Twin Ultra 900 is a bike that is renowned for providing riders with hugely enjoyable experiences. 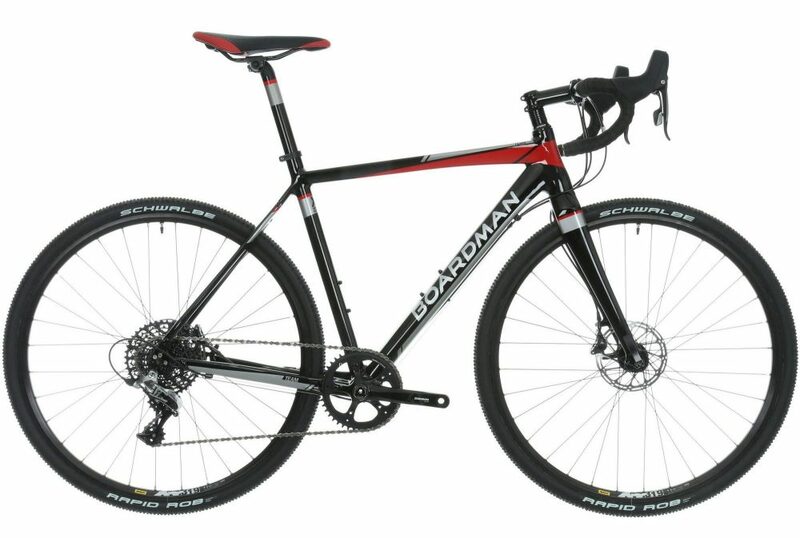 A bike that offers precision handling and the ability to provide a smooth ride on even the roughest roads, this would make the perfect selection for someone who simply wants to enjoy riding, whether for pleasure or commuting. Offering a full Shimano 105 5800 11s groupset and Mavic Aksium wheelset, the bike defies its price tag, although you will have to shell out for pedals, which aren’t included. Combining carbon and aluminium, the Ultra Evo Vario frame provides a great saving in the weight department, and adds to the bike’s already proven ability to be a nearly unbeatable racing vehicle for this price bracket. The chainset is a 52/36 semi-compact with 11-28 rear, which is perfectly suitable for those aiming to stick to flat roads or to use the bike solely for commuting. 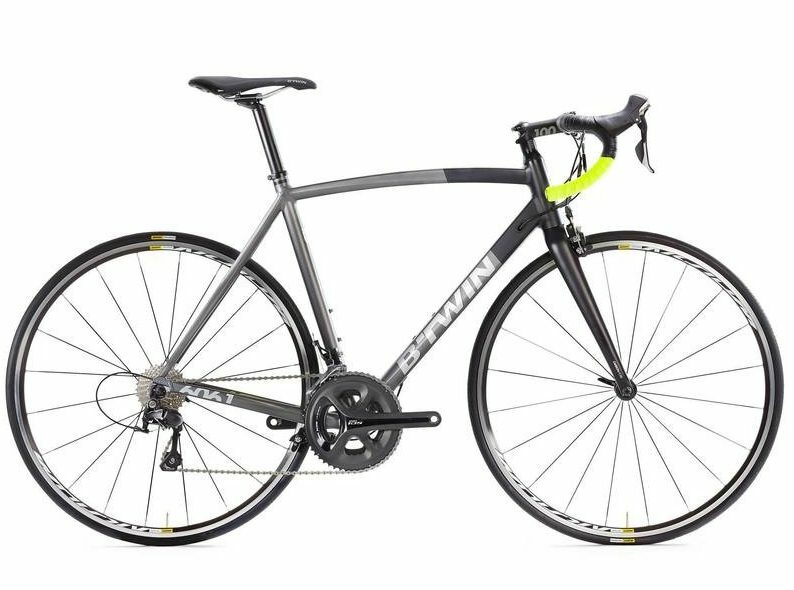 Offering definite value for money, this is a bike that lives up to the hype of its brand, although it’s rare to find a B’Twin bike that falls short of its goals. Perhaps the only disadvantage here is if you have a budget of £1,000, it might be worth taking a look at the Ultra 920, where you’ll be treated to Shimano Ultegra throughout, alongside a Fizik Arione saddle. Decathlon offers free delivery on all bikes, with the only exception being if you live in Northern Ireland. The store uses a range of payment methods, including Paypal, although it does not offer finance on any of its bikes. Boardman bikes have won their team’s Olympic medals, and this Boardman Road Team Carbon bike takes inspiration from its peers and offers a great deal for £800. 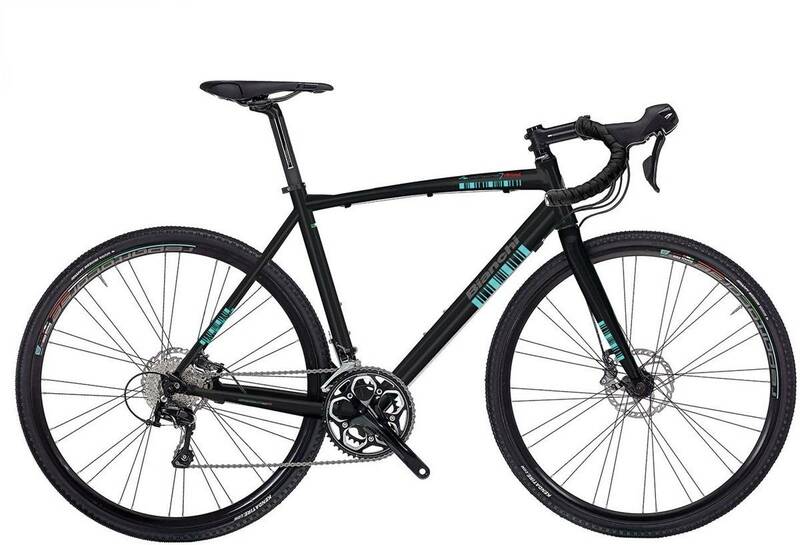 A great entry level bike for endurance riding, this bike is suited for people who want to eat miles by the bucketful and a carbon frame and for less than £900 as a definite selling point on this bike. At 8.56kg, the bike is remarkably light and the C7 carbon frame provides a good balance of stiffness for when you need it the most. With 50/34 x 11/28 gearing, riders are provided with plenty of choices, although it has been noted that the Tektro R540 Dual Pivot calliper brakes are a little dulled when it comes to response and consistency. Costs have also been reduced with the utilisation of external gear cables, but this hasn’t been found to hamper the rides and in turn, provides quicker access for servicing, should you need it. Although indeed an endurance bike, this shouldn’t put people off, as it provides both enjoyable and comfortable riding positions, both high and low. Although a formidable bike, it could be enhanced with a better drivetrain, as the Shimano 105 should really be the groupset of choice on this particular bike. Halfords offers free standard delivery alongside free next day delivery on all orders over £40. It also offers interest-free finance based on a 12-month payment schedule, which works out at £66.67 per month with a final payment of £66.63. A beautiful bike that’s sure to turn heads on the road, the Domane ALR 3 is highly developed and offers a spectacular ride for its price bracket. 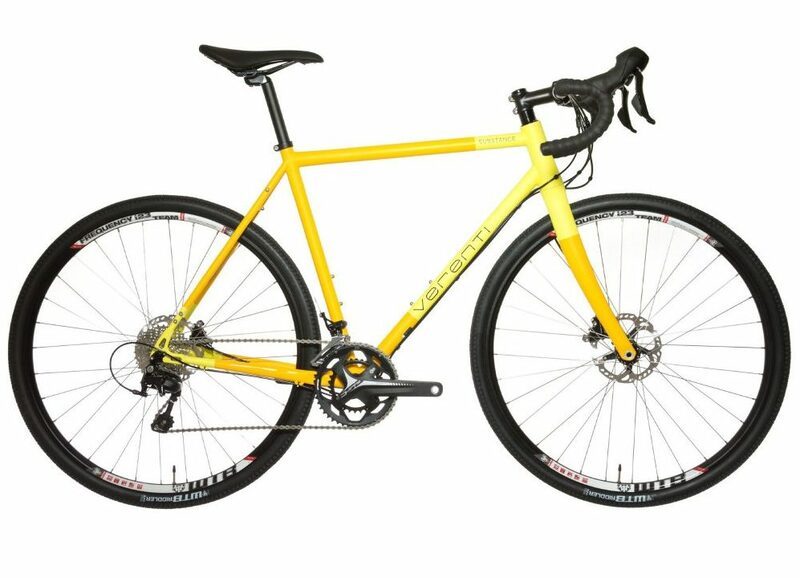 If you live in the hills, or on roads of poor quality, this is a sportive bike that’s well suited to your needs. Built for endurance rather than speed, the bike is a tad heavier than its contemporaries but does come with IsoSpeed elastomers, which provide a wonderful balance of comfort during the ride. This does, however, mean that Shimano 105 or Tiagra drivetrains are not included, so riders have to make do with the 9-speed Sora, which still provides a wide range of gears for beginners. Although the bike doesn’t come with rack mounts, there are tidy eyelets available for the fitting of mudguards, which can find their position just above the 28mm Bontrager tyres. Thought of as hosting one of the most comfortable aluminium frames for this price bracket, the bike is designed from head to toe for smooth and comfortable rides. 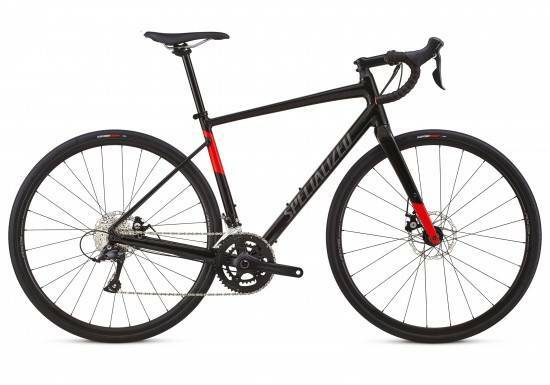 Although it is indeed somewhat of a bargain for less than £1,000, the groupset could do with being a little higher quality and it is one of the heavier bikes on this list. 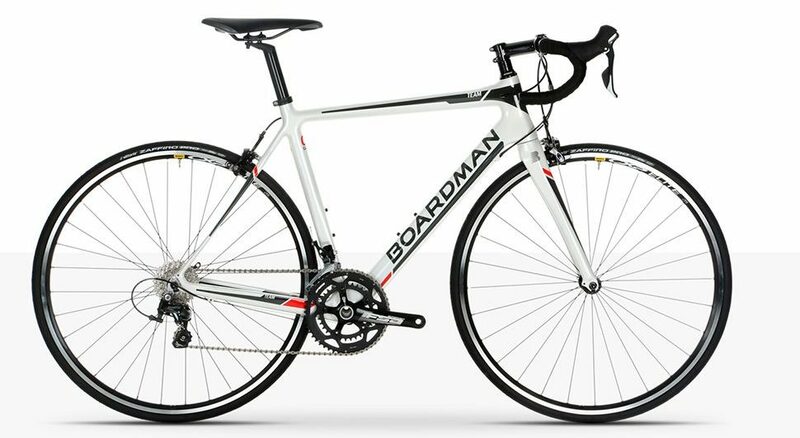 Unashamedly entry level, the Boardman CX Team is a workhorse on wheels and delivers a premium riding experience for just under a grand. A cyclocross bike that isn’t afraid to discover new terrains, or simply take you on your daily commute, its ability to serve a variety of needs makes the CX Team a formidable purchase. A triple butted alloy frame with neat welding and a carbon fork to top it off, the overall set up is easy to maintain, with the cabling running externally along the underside of the downtube. Although a little heavy for racing, the CX offers a comfortable ride on road surfaces, with the wide tyres adding to the bike’s ability to handle imperfect weather conditions across a multitude of terrains. The bike’s specs deliver everything possible for a bike at this price range, even though some individual features are a tad traditional. That said, the SRAM Rival 1 groupset is a welcome addition from Boardman, which could have gone for a much lower grade if it wished. Cumbersome if you happen to live in a particularly hilly area, and not suited for racing, the CX has nevertheless bridged the gap between cyclocross, off-roading, and commuting. Its guard and rack mounts also serve as a nice addition for those who do need a bike to commute on rugged or poorly paved country roads. 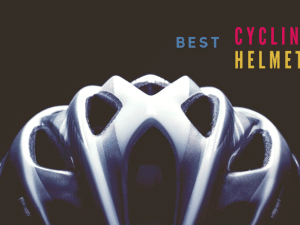 With the offer of a free build and a free service after six weeks (should you keep the bike in top condition), Halfords offers a range of after purchase services. For those that want to spread the cost, financing is also available from £75 per month. Delivery is not currently available for the CX, though you can pick it up at your local store. 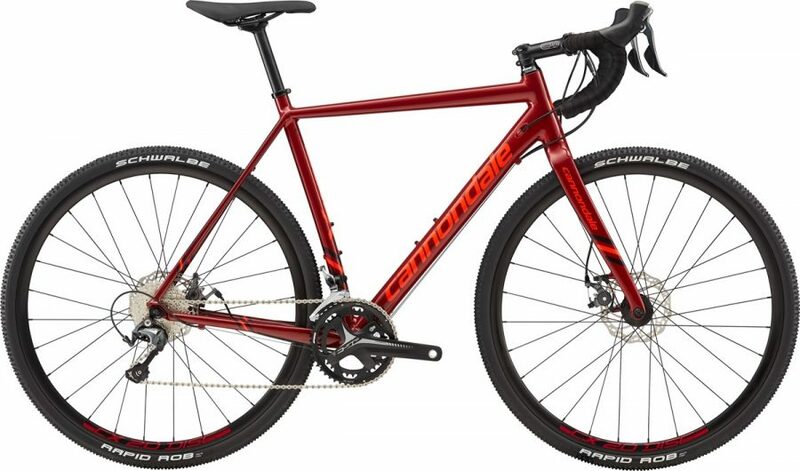 Another cyclocross bike that offers to ride across a variety of terrains, the Cannondale CAADX Tiagra is also designed to offer a serious racing challenge. 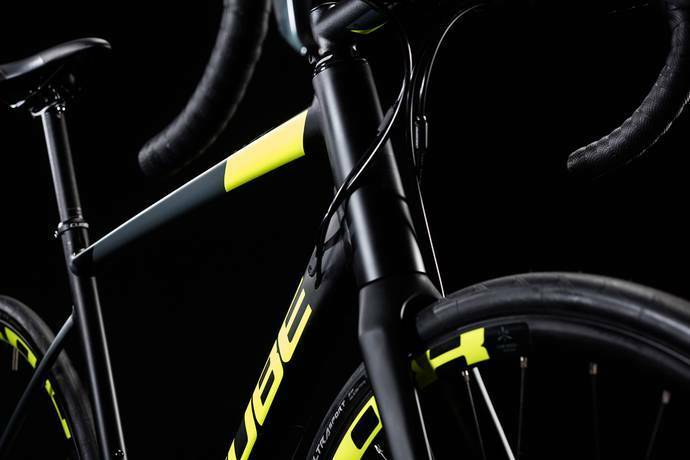 A fun entry level bike, the Tiagra offers technologies often found on higher grade bikes, which means that beginners are able to ride with confidence and novice-level knowledge of their equipment. 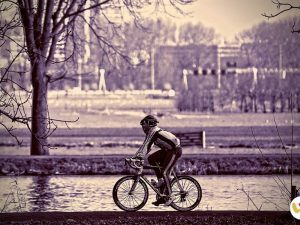 Designed to endure rougher roads, the bike’s primary purpose is cyclocross, but it can double up for commuting should you need it. Built around a SmartForm C2 alloy frame, the bike is both lightweight and can take lots of additional duress during unwelcome environments (hello double pass welding), making it perfect for winter. Featuring welcome Shimano Tiagra specs throughout, including a very neat 2×11 speed Tiagra groupset, there’s little doubt that this bike provides value for money. The flat mount disc brakes and tapered head tube offers riders a sharp and responsive ride, even on looser surfaces, which isn’t something to worry about, thanks to the ever-reliableSchwalbe Rapid Rob 35cc tyres. Versatility is at the front and centre of the Tiagra while offering comfortable geometry that doesn’t let you down on rougher terrain. However great the specs might be, and however robust this bike is, if you can stretch the pennies, the carbon-framed Cannondale SuperX shouldn’t be overlooked if you’re looking for something a little higher spec. Fully built and ready to ride from the off, the Tiagra is available on finance at 0% APR finance for up to 48 months. Delivery is free throughout the UK and you can find the bike on your doorstep on a date that suits you. With a free Cycle Plan insurance voucher for up to 8 weeks, you can also return your bike within 365 should you change your mind for any reason. Have you come across any other bikes within the budget range that should be included? Get in touch and we’ll add them to our list!